John Sowden House (at 5121 Franklin Avenue in the Los Feliz section of L.A.): "Old Hollywood glamour comes alive in Lloyd Wright's architectural masterpiece overlooking the best of Los Angeles shopping, dining, and nightlife." 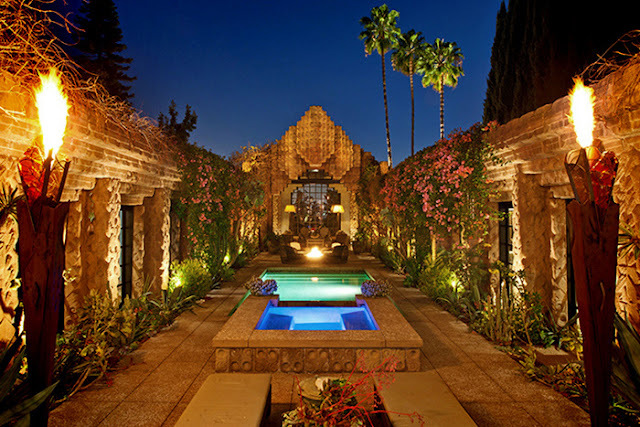 Image Source: Sowden House. Designed by Lloyd Wright, the son of Frank Lloyd Wright, this 'Mayan Revival' styled home was the scene of the Black Dahlia murder. You read that right: decorated with artifacts that definitely came with evil spirits and the scene of an unsolved murder. The only thing this home is lacking: a good night's sleep for the sucker that buys it. Enjoy your Mayan death house. This grim story is possibly true. Sowden House (1940). 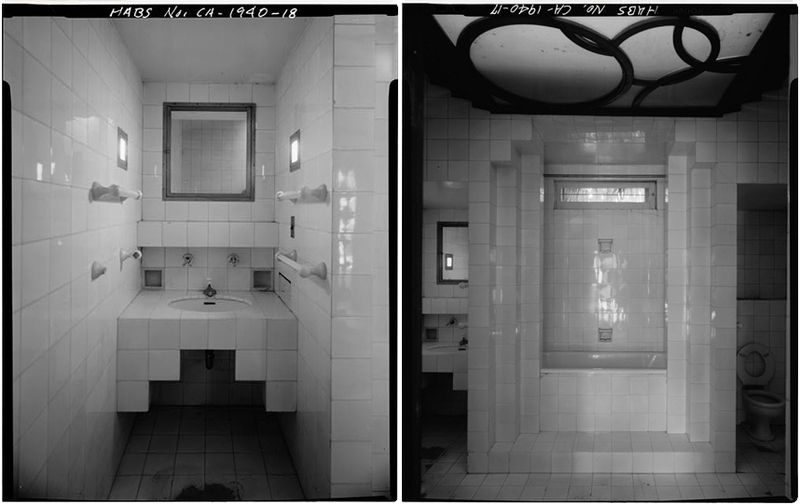 Image Source: U.S. Department of the Interior, National Park Service, HABS via Wiki. From 1945 through 1951, the house was owned by Dr. George Hodel, a Los Angeles physician who was a prime suspect in the infamous Black Dahlia murder, although he was not publicly named as such at the time. The doctor's own son, Steve Hodel, himself a retired City of Los Angeles homicide detective, argued in his 2003 book "Black Dahlia Avenger" that the Black Dahlia victim, Elizabeth Short, was actually tortured, murdered and dissected by his father inside of the Sowden House, in January 1947. 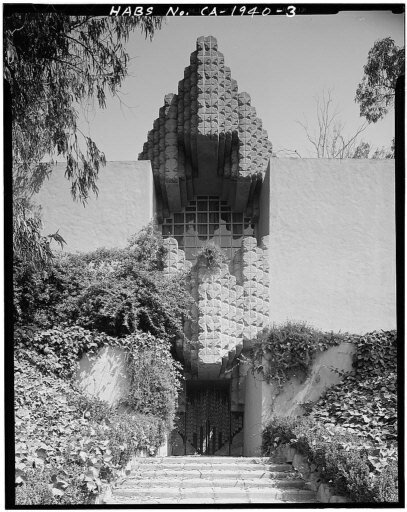 Sowden House (1940). 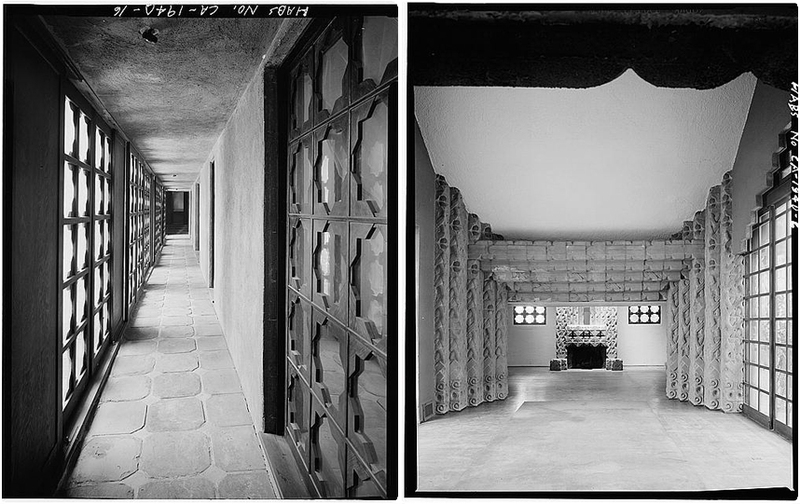 Image Source: U.S. Department of the Interior, National Park Service, HABS via Amourette. It has also been described as having a 'cultic, brooding' appearance. The Los Angeles Times has also described it as a 'quasi-Mayan-style mansion, an otherwordly apparition that looms over Franklin Avenue in Los Feliz.' A guest arriving at Sowden House passes through sculpted copper gates and then up 'a narrow, tomb-like staircase' to the house. You can see many more photos of the recently refurbished house (here) and grounds (here; source: Sowden House). To contemplate the house's lurking grandeur in light of the chilling possibility that this is where Elizabeth Short may have spent her missing week before the discovery of her body does indeed recall Old Hollywood - and not in a good way.